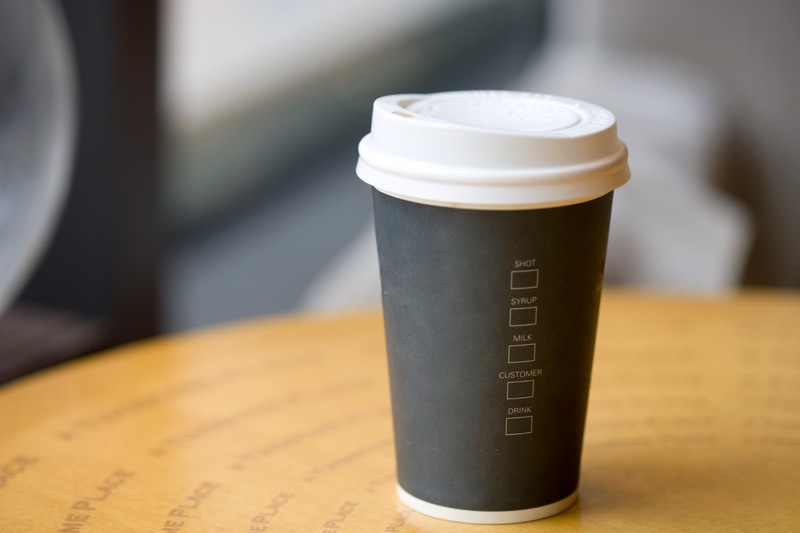 Recycling Works: Are Paper Cups Recyclable? The wax or plastic layer can be removed so the paper cup can then be recycled, but the process proves to be very costly and time consuming. Approximately "50 billion cups in the U.S. end up in landfills every year -- enough that if placed end to end, they would go to the moon and back roughly five times." "Over 50% of Americans over 18 years of age drink coffee every day. This represents over 150 million daily drinkers. 30 million American adults drink specialty coffee beverages daily; which include a mocha, latte, espresso, café mocha, cappuccino, frozen/iced coffee beverages, etc. Independent coffee shops equal $12 billion in annual sales. There are approximately 24,000 Coffee Shops across the country. The average Espresso Drive-thru Business sells approximately 200-300 Cups of Espresso and Coffee Based Drinks per day." 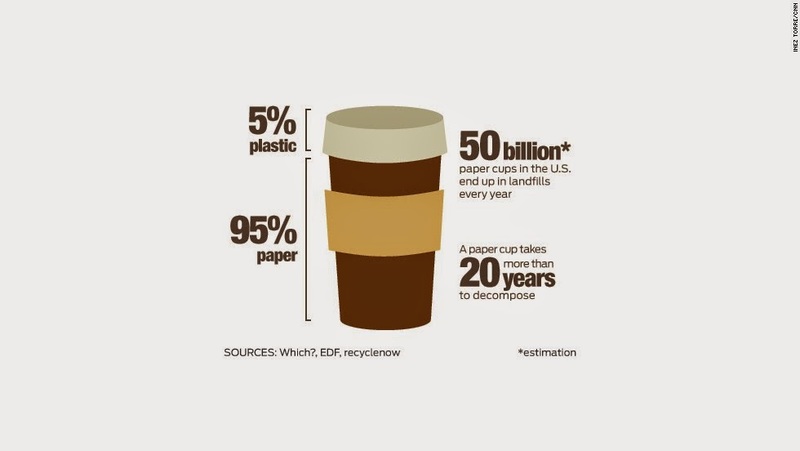 With the number of disposable cups being sold each year in the United States alone, either more efficient processes need to be implemented to separate the paper from the coating on the cups, or innovations in cups are needed to provide consumers with cups that are recyclable. Disposable Karat Cups are made from a combination of materials. A thicker layer of paper makes up the majority of its contents, along with a thin layer of wax or plastic film. Lollicup USA Inc. is the manufacturer of Karat food service disposable food containers, Tea Zone bubble tea supplies, and Total Clean cleaning solutions.